There are hundreds of periodic tables in web space, but there is only one comprehensive database of periodic tables & periodic system formulations. If you know of an interesting periodic table that is missing, please contact the database curator: Dr Mark R Leach. 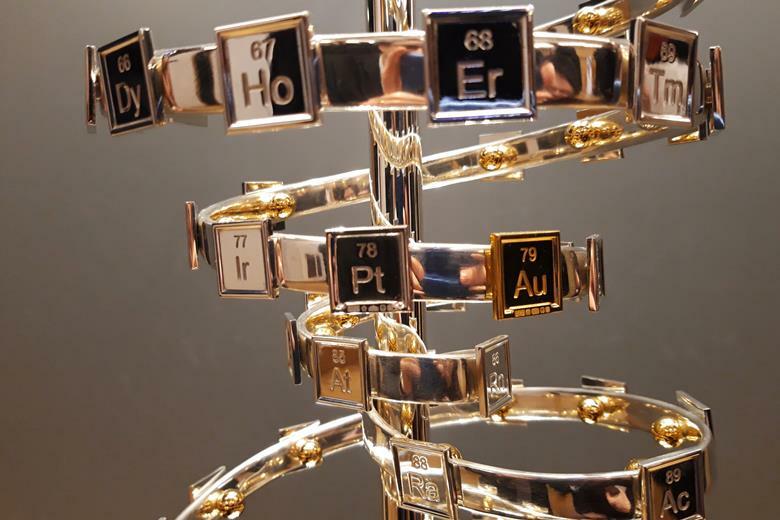 "A glistering, shining spiral made of silver, gold, platinum, palladium and a diamond forms the show-stopping apex of the tribute from the University of Cambridge's St Catharine's college to the International Year of the Periodic Table. 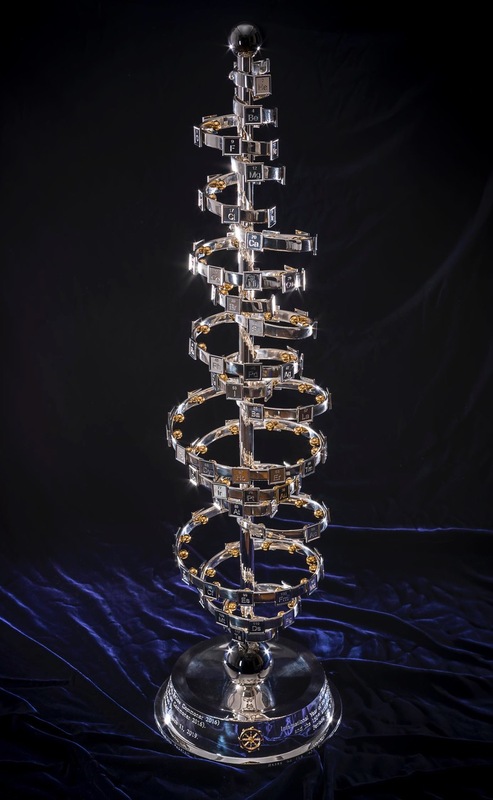 "Commissioned to match George Schaltenbrand's 1920 design for a helical gathering of the elements – albeit extended to all 118 current elements – and signed by Yuri Oganessian, it is almost certainly the most expensive periodic table in the world." Thanks to Eric Scerri for the tip! See the website EricScerri.com and Eric's Twitter Feed. Periodic Table, What is it showing? This free, open access web book is an ongoing project and your input is appreciated.